​The University of Sheffield’s Advanced Manufacturing Research Centre (AMRC) has assembled a team of high-tech engineers who will drive improvements in the UK’s space technology manufacturing base. 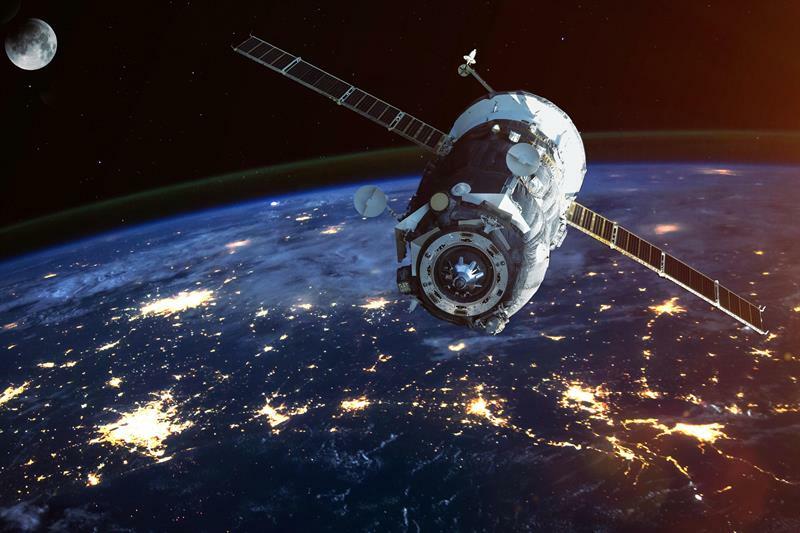 The move, which is critical to the success of the UK government’s vision for a ‘Great British Space Age’, will build on efforts that already see the AMR working with space and communication pioneers such as BAE Systems, Boeing and Airbus. John Baragwanath OBE, executive director of the AMRC, said: “The new capability will be led by Craig Roberts, whose team has a brilliant track record of innovation in space technology, with one of his team only recently returned from NASA, following his discovery of a patent-pending, additive manufacturing technology that the agency is keen to progress. While Roberts and his team will form the core of the new AMRC/Space capability, the unique feature of the initiative is the way it will facilitate collaboration across not only the whole of the AMRC including the Nuclear AMRC, but also the University of Sheffield. The AMRC/Space capabilities include: thin wall and precision machining technologies; additive manufacturing, including multi-material and hybrid machining; joining technologies, including automated adhesive and robotic welding; assistive technologies for batch production and mass customisation; augmented reality and virtual reality for right first time and training purposes; lightweighting; metrology and quality control, including inspection techniques driven by Artificial Intelligence. The launch of AMRC/Space follows government’s announcement of UK space ports in Scotland and Cornwall to meet commercial vertical and horizontal launch demand, estimated to be worth a potential £3.8 billion to the UK economy over the next decade. Announcing funding for the new launch sites in the summer, Business Secretary Greg Clark said: “As a nation of innovators and entrepreneurs, we want Britain to be the first place in mainland Europe to launch satellites as part of our Industrial Strategy. The UK’s thriving space industry, research community and aerospace supply chain put the UK in a leading position to develop both vertical and horizontal launch sites. Baragwanath added: “It is intended that the new spaceports will attract rocket manufacturers and their supply chains to the UK, and the development of home-grown manufacturing companies, taking advantage of the UK’s geographical position, which offers opportunities to reach orbits used by the majority of small satellites. The UK’s network of High Value Manufacturing (HVM) Catapult Centres – of which the AMRC was the role model – is attracting global companies and governments from around the world. “It is no accident that Boeing chose the UK to site its first European manufacturing facility, and it is not serendipity that Boeing and other leading manufacturing companies, including McLaren and Rolls-Royce, have chosen to establish significant manufacturing facilities on Sheffield’s Advanced Manufacturing Park (AMP), adjacent to the University of Sheffield’s Advanced Manufacturing Research Centre,” Baragwanath offered. Co-founder and fellow executive director of the AMRC, Adrian Allen, added: “It’s one small step for the AMRC to translate its experience in the aerospace, defence and nuclear sectors to the manufacturing needs of the space programme. “Our current research supports some of the most demanding industries in the world, where the precision engineering of safety-critical components is paramount. Boeing, who are a founding partner, have been central to the exploration of space, from the first Mercury capsule, to the current International Space Station, and beyond to the Space Launch System. “Likewise, our partner Airbus has been at the heart of Europe’s space endeavours for half a century. They are now working with another of our partners, Saffran, on the record-breaking Ariane launcher programme. And BAE Systems, who are central to our mission in AMRC/North West, are key players in civil and commercial space communications. “The Sheffield City Region now has a cluster of high value, high technology engineering companies with an interest in, and the ambition to support, the government’s vision for the space industry post-Brexit. “The formation of AMRC/Space, with its fundamental research partnerships across the University of Sheffield, gives the region the opportunity to attract new investors at the forefront of smart technologies, consolidating our reputation as a global centre of excellence for high-value, manufacturing based on high quality research and innovation.